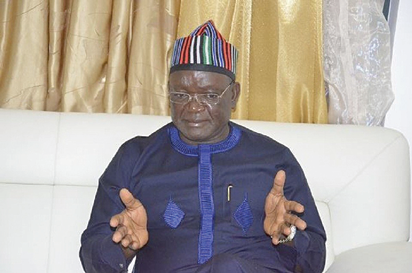 Benue State governor, Samuel Ortom, has described the sponsorship of youths to the Force Headquarters in Abuja to demand the deployment of more security personnel to the state for Saturday’s elections as desperation by the All Progressives Congress (APC) to disrupt the elections. He noted that the first phase of the APC plan was to try to change the narrative that Benue people were the ones killing one another. Ortom admonished the Federal Government to resist the urge to militarise the coming elections in Benue, as the state is not at war. In the same vein, Movement for the Survival of Ogoni People (MOSOP) has expressed concern over the tensed security situation, particularly in Rivers State, ahead of the polls tomorrow. The president, Fegalo Nsuke, stated yesterday that MOSOP members were worried about the violence in Rivers where over 30 persons were killed during and after the last federal ballot. According to him, the Nigerian military has never been a friend of the Ogoni people and the scars of their past brutality are still very fresh.“We call on the Ogoni to be peaceful during the polls and be very vigilant to checkmate the use of the military and political thugs to deny the people their right to choose their leaders,” the statement added.